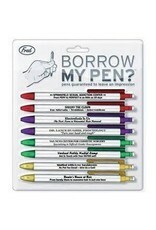 Pens guaranteed to leave an impression! 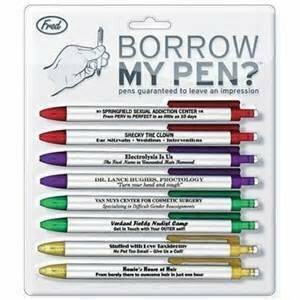 Hand them out to your friends, your parole officer, your boss... when you say 'Borrow My Pen?' you'll ALWAYS make an impression.